PACE Project Developer. We work with Clients to secure Low-Cost PACE funding. D.C. United Soccer Stadium installed state-of-the-art energy and water efficiency measures, an 884 KW solar array integrated into the canopy and building structure, low-flow water fixtures and a storm management system. This resulted in a 25% reduction in energy use, an 820 metric tons/year in emissions, and LEED Gold Certification from the USGBC. This is another example of using PACE to do energy efficiency improvements that make both financial and environmental sense. "SAN FRANCISCO, May 23, 2017/PRNewswire/ -- Today, CleanFund Commercial PACE Capital, Inc. announced the Commercial Property Assessed Clean Energy ("C-PACE") funding of a $40 million seismic upgrade for the Seton Medical Center campus, the only acute care facility in Daly City, California. CleanFund provided $20 million of its own capital and brought in a partner, Petros PACE Finance, to provide an additional $20 million. CleanFund worked with the leadership of Verity Health System to finance critical health and safety improvements. Seton Medical Center is a part of Verity Health. The proceeds will allow the hospital to make upgrades to meet California'smandatory Hospital Facilities Seismic Safety Act (SB 1953). The C-PACE industry finances projects that improve the welfare of the communities it serves. In addition to energy efficiency and renewable energy improvements, C-PACE financing can help fund projects that protect buildings and occupants against natural disasters such as hurricanes and earthquakes. C-PACE is flexible and diverse, but is unified by the commitment to enhance building efficiency and safety. Since taking over the management of Seton in 2015, Verity Health has invested heavily in operations and capital improvements to provide the highest standard of patient care. In addition to traditional bond financing, Seton needed to raise further capital to fund the state-mandated seismic upgrades at the hospital. CleanFund provided the solution with C-PACE financing in the form of $20 million of its own capital. In addition to CleanFund's own capital, its partnership with Petros enabled Seton to get 100% of the required financing. C-PACE is long-term, competitive, fixed-rate financing, similar to the traditional tax-exempt debt that hospitals often use for infrastructure investments. C-PACE financing simplifies the process, allowing Seton to make payments as a line item on their property tax bill. Mitchell R. Creem, Verity's Chief Administrative Officer, said, "Verity Health could not be more pleased with C-PACE being utilized to fund the life-saving seismic improvements required at Seton. These improvements will allow us to continue our focus on providing the safe, quality patient care and vital services to meet the needs of our community." Stephen Forney, Verity's Chief Financial Officer, commented, "C-PACE met both the requirements of obligations under the Master Trustee as well as our own financing criteria. We are pleased to have long-term financing in place for Seton's seismic upgrades." This is the largest C-PACE financing in history, providing a significant public safety and health benefit for Seton Medical Center, ensuring local acute healthcare services to the community for years to come. 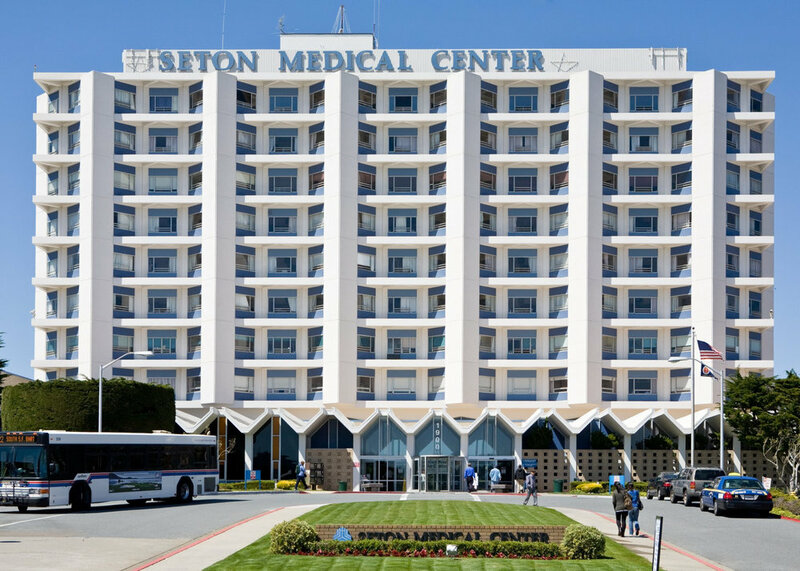 Founded in 1893, Seton Medical Center is a 357-bed hospital serving 1.5 million residents of San Francisco and northern San Mateo County with comprehensive inpatient and outpatient medical specialties, as well as emergency and urgent care services. Its sister facility, Seton Coastside, is a 116-bed skilled nursing complex offering inpatient care and the only 24-hour standby Emergency Department on the Pacific Coast between Daly City and Santa Cruz. Seton is part of Verity Health System." A Houston based e-commerce company has installed 24 natural gas fired mCCHP (micro combined cooling, heating and power) units and a 144 kW solar array (464 panels) that is displacing nearly 1 MW of electricity. The system also includes a battery back-up to ensure an uninterruptible power supply, or UPS. For more information on how you can install and finance a project of your own, please contact us. This affordable 112,000 SF $19 million multifamily housing property built in 2007 wanted to improve their overall building performance, reduce energy costs and reduce operating costs. This $340,000 project demonstrates PACE's application to an affordable multifamily housing property. This property is part of HOPE VI program administered by the US Department of Housing and Urban Development (HUD). Units within the building are individually metered and the tenants’ electricity bills are subsidized through the HUD utility allowance program. The project include lighting improvements, controls system and 37kW solar array. The project term was 10 years with a 20 year amortization. The project reduced energy use by 15% and resulted in annual benefits totalling $40,000. Ivy Knoll, a 7 story all-electric building, is a senior retirement community that elected to use PACE financing for their energy efficiency improvements. This $750,000 project with a 20 year term includes solar panels that will generate 64,000 kilowatt hours annually, LED lighting that is estimated to save $12,000 annually, and an elevator modernization that is estimated to reduce energy consumption by 40%. In addition the units will have automated controls that can be operated from a central control system, allowing the building owner to turn off the HVAC in vacant apartments. The 80-unit private, gated apartment community goals were to lower their utility costs, maximize rents with no capital outlay, and provide tenants a more comfortable living environment. Energy Efficient Windows, Sliders and LED lighting will enable them to target a 21% reduction in annual energy costs on a $136,000 project. Pacific Ethanol, Inc., a leading producer and marketer of low-carbon renewable fuels in the United States, is purchasing and installing a new 5 megawatt (MW), solar photovoltaic (PV) power system at its bio-refinery that produces ethanol, wet distiller grains and corn oil. The $10 million project will be cash flow positive from day one, reducing annual utility costs by $1 million. This is the first ever commercial solar electricity system at a US plant and represents the largest solar PV system (based on power generating capacity) to be funded through a PACE program. By financing this project through PACE, the industrial owner is able to retain full ownership of the system from day one and capture the tax incentives afforded to solar system owners. PACE Houston can work with your industrial solar project whether or not the owners have the ability to adequately utilize all available tax benefits. This is done by financing solar systems on a direct-ownership basis, as well as through an indirect ownership structure utilizing a power purchase agreement. With PACE, when a property is sold, the future cash flow benefits and the financing transfer to the new owner. In multi-tenant properties, both owners and tenants can share in the costs and benefits of solar energy, which is normally not possible with self-financing or bank financing. Call Tim Crockett for more information on IndustrialPACE. Congregation Beth Israel, a Jewish synagogue in Austin Texas used PACE to upgrade its building. PACE, an acronym for Property Assessed Clean Energy is used by both commercial businesses and not-for-profits to finance energy improvements that make financial sense. In this case, a $435,500 comprehensive retrofit produced $35,000 in energy savings - a direct reduction in operating costs. Energy improvement measures included: New Chiller and Boiler Systems and Window Tinting. The improvement costs were offset by locally available gas and energy rebates. The Simon Property Group, Inc. will use Travis County's PACE program to finance $1.5 million in water conservation, mechanical and lighting retrofits at Barton Creek Square, an enclosed mall in southwest Austin built in 1980. The retrofits will conserve water and lower utility costs with the savings used to pay for the financing costs. The savings, according to the Texas program rules, must be greater than the financing costs. Construction will start in the first quarter of 2016. The Barton Creek project is part of Simon's $500 million commitment to use PACE to finance improvements to its malls throughout the country. The Texas PACE Authority made the announcement on December 22, 2015. The former Constance Hotel in downtown Pasadena, CA has been transformed into a luxury dusitD2 hotel. The hotel used PACE for a comprehensive energy efficiency project that included new HVAC equipment, LED lighting, elevator motors/controls, a water system overhaul and insulation. The property will realize a 200,000 kWh electricity reduction and reduce water consumption by an estimated 3.2 million gallons annually. The project financing term was for 20 years. The longer term fixed financing terms under PACE financing reflect the unique structure of a PACE deal. See hotel photos at the dusitD2 website or view their dusitD2 Hotel Marketing Brochure. The 23 story 500 room Hilton Los Angeles performed a full system upgrade to 14 elevators, installed 520 HVAC fan motors in guest rooms, installed HVAC control systems, 11 refrigerators and freezer motors, two 450 ton chillers, LED lights, lighting controls, glass replacement, 250 bathtubs/showers and 500 shower heads, dynamic glass units, high capacity washers and dryers and EV charging stations. The $7 million PACE project size is expected to save $800,000 in year one, produce $200,000 in Operations and Maintenance savings and have a 78% ROI. PACENow Case Study. In addition to helping property owners reduce the amount of kWh used through energy efficiency improvements, PACE Houston will also analyze how you use electricity then leverage all electricity suppliers to secure the best rate and terms achieving budget certainty for your new energy efficiency improvements. The Palisades Palms a Twin 30 Story Resort Condo Development engaged us to analyze the value of reducing volatility in long-term operating budgets. After the analysis the client was confident not only in the benefits provided in achieving budget certainty by a new power contract but also certain they locked the best market price. Built in 1915, this St. Louis landmark received a $2.4 million energy efficiency retrofit. The PACE improvements included Energy Management Controls, HVAC upgrades, New On-Site Steam Generation and High Efficiency Lighting and produced $200,000 per year in energy savings. PACE is especially suited for non-profits because the program guidelines specify zero cash down and the projects generally improve their cash flow. This enables them to have funds for more member visible initiatives. PACENow Case Study. The PACE program allowed these B&B owners to do an improvement without incurring debt or spending cash they did not have. While a simple Payback is not generally used to calculate PACE savings because no up-front cost is required with the available 100% financing, the $811,419 investment will be covered in the first nine years; and the PACE project is cash flow positive in year one. The annual energy generated is 553, 173 kW from the 334.8 kW Solar PV. PACENow Case Study. With a project cost totaling $1.9 million, a PACE assessed energy component of $662,000 enabled the club to balance the building's airflow with new makeup air units, update the HVAC system, replace all lights, repair steam traps and windows. Over the course of 18 years, the project is expected to produce $1.3 million in savings. PACENow Case Study. A two story 2009 Chico, California buildings valued at $2.7 million utilized a 20 year $265,458 PACE assessment to install a rooftop Solar PV with a system capacity of 77.74 kW DC. The projected annual energy savings is $22,000 with a Year 1 positive cash flow of $108,000. PACENow Case Study. A 13,000 sq. ft. restaurant located in Edina, Minnesota utilized a PACE assessment of $39,308 to install LED lights and kitchen hood controls. The project resulted in an immediate positive cash flow and enabled the cash to be preserved for the core business operations, including new kitchen equipment. Also, the annual assessment is attached to the property and does not require the owner's personal guarantees. PACENow Case Study. The owner of three buildings valued at $48.5 million, totaling 341,551 sq. ft. and built in the '80s and '90's utilized a $480,000 PACE assessment to to install a new cool roof and to upgrade their lighting to low wattage metal halide fixtures. This made the building more competitive with newer construction. The single ply PVC roofing membrane meets the USGBC's LEED program, Green Globes and Energy Star program requirements. PACENow Case Study. A 16,500 sq. ft. 2 story Los Angeles building used a $236,350 PACE assessment to install a 35.5 kW solar array, a cool roof and a lighting upgrade. They reduced their roof temperature by 20 degrees, achieved a 38% reduction in electricity use with newly installed lighting, and they now produce 83% of their energy needs with solar panels. PACENow Case Study. A 60,000 sq. ft. Toledo, Ohio building, with an assessed value of $550,000, is expected to save 670,000 kW/year with the following improvements: cooling tower upgrades, a complete lighting retrofit, hot water pump upgrades, a new building envelope (roof, windows and front door entry), digital HVAC controls and air handler fan motors. The PACE assessment of $1.4 million was financed for 15 years. PACENow Case Study. We are a private building water and energy efficiency company. We are not a general contractor but do offer products and services directly and through strategic partners that enable a building to become more energy efficient. We also provide PACE financing alternatives to our clients. The Texas PACE Authority and Keeping PACE in Texas help make C-PACE financing available to Texas counties and cities.